See if this video relates to you. Click the button below to learn more about individual brain stimulation options including DBT and VNS. Click the button below to learn more about individual brain stimulation options. 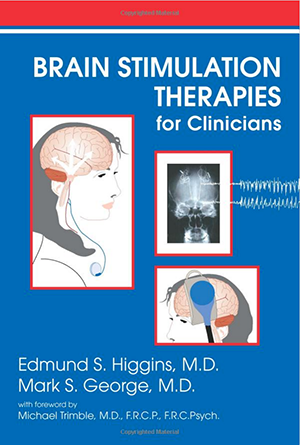 The Clinical TMS Society is an organization dedicated to optimizing clinical practice, awareness, and affordability of Transcranial Magnetic Stimulation therapy. Their website includes TMS news links, education and research, and details about association membership. Swedish is the largest nonprofit health provider in the Greater Seattle area. The SeattleNTC physicians are all members of the Swedish Medical Staff and perform ECT services at the Cherry Hill Campus of Swedish Medical Center. International Society for ECT and Neurostimulation is incorporated as a nonprofit tax exempt corporation since 1993. ISEN is also an international organization dedicated to promoting safe, ethical, and effective use of electroconvulsive therapy and transcranial magnetic stimulation. World Health Organization is directing and coordinating authority for health within the United Nations systems. WHO is responsible fore providing leadership on global health matters, shaping the health research agenda, setting norms ans standards, articulating evidence-based policy options, providing technical support to countries and monitoring and assessing health trends. The acclaimed Swedish Neuroscience Institute (SNI) provides advanced, progressive treatment for a wide range of brain, spine, central nervous system, and neuropsychiatric conditions. Seattle Neuropsychiatric Treatment Center (SeattleNTC) is a program of the Swedish Neuroscience Institute. SeattleNTC provides comprehensive evaluation and care with a number of brain stimulation therapies which use electricity, magnetic pulses, or surgical implants to directly activate the brain.